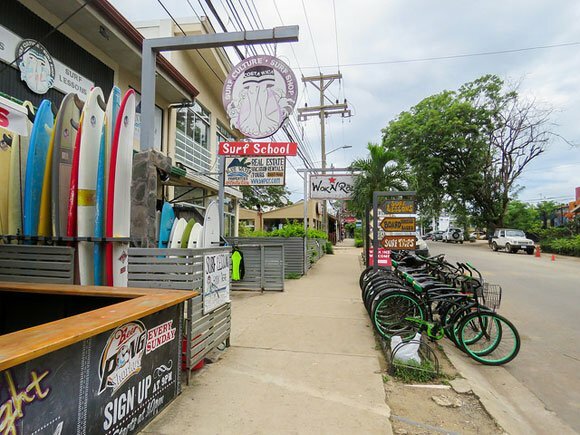 Tamarindo is located in the heart of Costa Rica’s “Gold Coast” and one of the country’s most famed expat havens. Iconic images include the sprawling golden beach lined by palms and beach eateries and bars, and the crystal Pacific water dotted with surfers and sail boats. 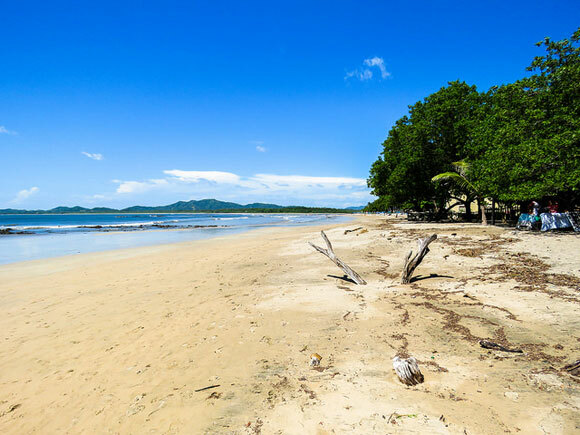 But there is much more to Tamarindo than just a beach. There’s the busy “commercial center,” concentrated along two main roads, the residential area, and even wide open country roads—perfect for biking, walking or hiking. 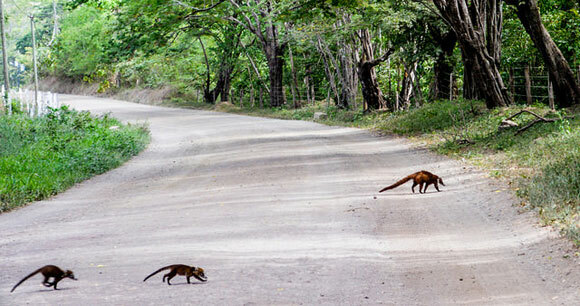 And even in this developed town, nature abounds and can be seen and admired throughout Tamarindo. 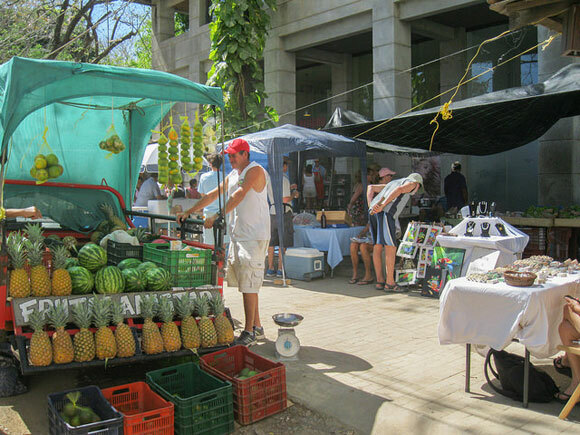 One place that you’ll always find activity and interesting sights is the Tamarindo feria (farmers’ market). This is a meeting spot for locals and expats, and a great place to find locally produced goods and produce at lower prices than you’ll find in the grocery store. The feria is open weekly, on Saturday from 8am to 1pm. From December through to February, the number of vendors grows, due to the influx of tourists. While in September and October, the rainiest months of the year, only the regulars set up their stalls. However there’s still plenty to choose from. Seeing the howler monkey’s leap from tree branch to tree branch, or cross the road in front of you, never gets old. After a year-and-a-half of living here I still stop and watch them every time I see them. A popular place to meet friends is the beach at sunset. Most people try and arrange their schedule so they can stop by just as the sun starts to go down. The colors and the way they illuminate the clouds are unique each and every day—another aspect of life that never seems to get old here. Driving through town you’ll notice most of the businesses are hostels/hotels/B&B’s, restaurants, bars and surf shops—but there are plenty of business intermingled to serve the day to day needs of those who live here, including banks, pharmacy’s, fitness and yoga studios, shipping services, and print shops. 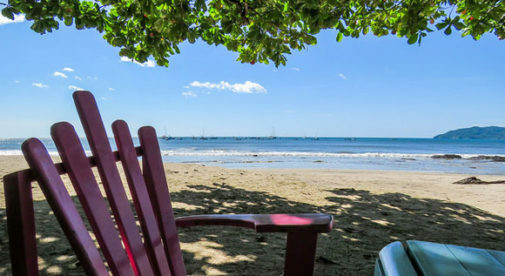 Life doesn’t move too fast here, which is what most people like most about calling Tamarindo home. 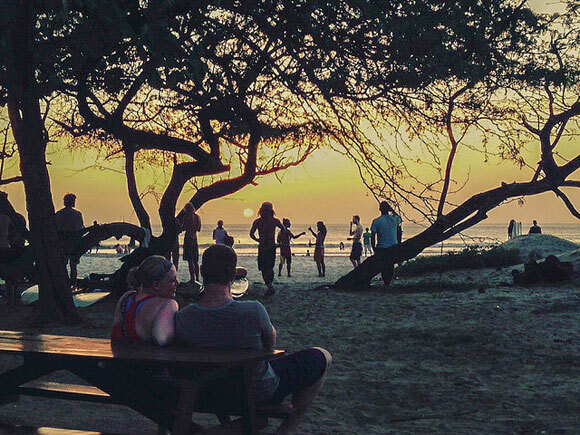 I always describe Tamarindo to people as being the perfect combination of laidback and convenient. There are lots of beautiful, quiet places to enjoy the nature around you, but also all the amenities you might want, making it an ideal place to settle down.